Paramore’s self-titled 2013 album kicked off with Fast In My Car, essentially a recap of their past couple of years as a band, thrown off course by the departure of Josh and Zac Farro three years prior, only to find their feet again as a trio to make the best album of their career so far. 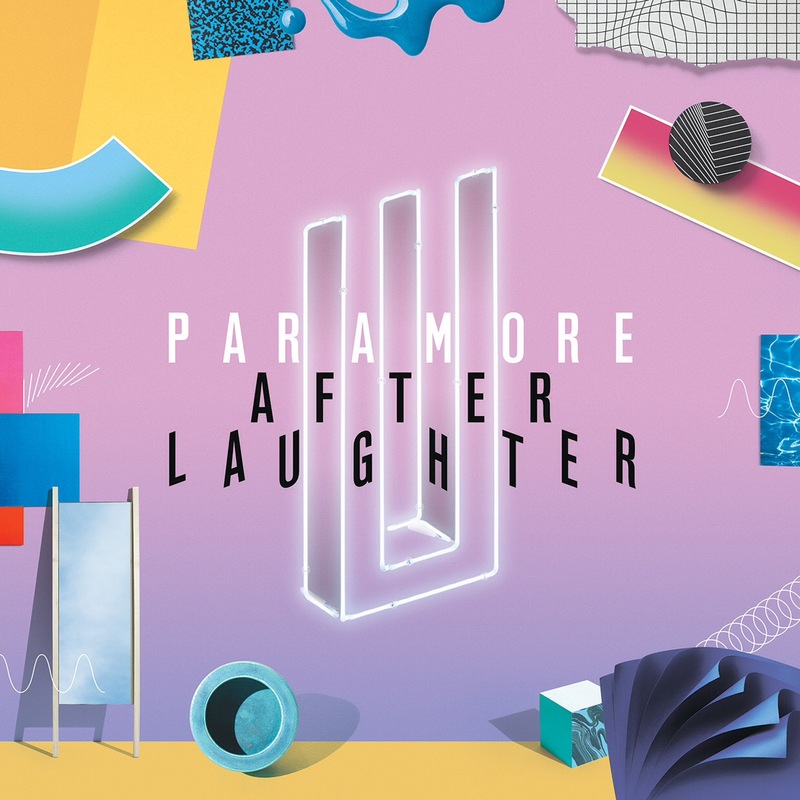 A similar note opens After Laughter on Hard Times, another song imbued with the band’s notoriously fractious relationship that seems unfortunately customary to resurface between every album. This time the band remain a trio, regaining Zac Farro on drums after losing bassist Jeremy Davis following legal disputes, underpinned by the understandable frustration of frontwoman Hayley Williams from being at the epicentre of a band in flux. But then again, the fact that Paramore are able to dig in their heels and weather such adversity is what keeps people coming back; it’s what made the self-titled album feel like such an event, and the release of After Laughter is no different. That’s assuming that the two are supposed to be similar though, which doesn’t seem like the case. Where Paramore was the big, brash return into the spotlight that saw its creators flaunting their stability, After Laughter feels a lot more tentative and uncertain. It’s partly down the instrumentation, decidedly slicker and more understated as the blatant influences of ’80s pop would suggest that can lead to the acoustics and fluttering strings of 26 or the runny guitar line of Told You So sounding desperately underweight. Really, it’s a case of the lyrics, which bear the pessimistic attitudes that are definitely understandable, particularly for this band, but that bog After Laughter down more than they should. Pool and Grudges may see a more hopeful viewpoint sneak back in which complements this shift in sound immensely, but for perhaps the first time in their career, After Laughter sees Paramore lacking in confidence. In the past they’ve at least been good at masking it even if it has been there, but the fact that it’s being laid out for all to see throws out any artifice that could’ve complimented a noticeably synthetic sound. Even if the maturity that comes bundled with this album means removing that veil and throwing this out to be openly taken in, it’s still jarring in the way that Paramore have stripped away such a crucial layer that could’ve made this a lot better. It’s not as if Paramore don’t know this though – the album’s title itself implies this to be the fall that comes after their long period of pride – and they do prepare accordingly. Here, the praise mainly falls on Williams, who has always been an expressive vocalist but is given the opportunity to open up her repertoire here, whether it’s the glassy, distanced vocals of Hard Times, the desperation that actually gels really well with the off-kilter guitars of Idle Worship or the soft yearning of Tell Me How which, with the slight cushion of reverb and complete avoidance of any melodramatic tendencies, sits as a resolutely tasteful closer. Even so, this is probably the least front-and-centre that Williams has ever come across on a Paramore album, with a lot more poise and restriction than has previously been seen. Just look at the smooth, quiet soft-rock of Forgiveness, or the winding bass passage No Friend where she’s replaced completely by a ranting monologue buried deep in the mix in the only instance of Paramore ever being comparable to La Dispute. Again, it can be hard to see how each piece fits together – for an album that is as open and confessional as this, the member whose job it is to convey these big emotions is in the right mindset to do so, but is simultaneously held back from really doing so more emphatically. The same could easily be said about the instrumentation, but the temptation to be charitable is definitely a factor here, as Paramore have found something that really works for them. Putting the dissonance aside, After Laughter‘s marriage of vibrant colours from quiet, indie-pop guitars and prominent basslines with more saturated, supple tones courtesy of waves of synth taps into a well of melodies that are completely impossible not to move to. The euphoric pop shuffles of Hard Times and Rose-Colored Boy make for a near-perfect opening pair, while there’s a definite hint of Blondie to the wavy reggae groove of Caught In The Middle, and there’s a lushness to tracks like Forgiveness and Tell Me How that careens across the tracks beautifully. Factor in the hooks that range from gentle indie floating on Pool to full-on explosive pop-rock on Idle Worship, and After Laughter sees Paramore once again shooting for batches of earworms and succeeding just as well as they always have. That’s the primary reason that After Laughter ends up a success. Paramore have become so skilled at what they do now that the quality of their albums really only hinges on auxiliary measures and how well they’re implemented. It’s really the only place that this album loses itself – the necessary hooks are subtler than ever yet still effective; the hard shift into ’80s pop is one that’s done with taste and panache; it’s really only writing that betrays a yawning tonal rift that prevents After Laughter from being truly great rather than just very good. And while that means that it ultimately fails to recapture the magic of their self-titled album, that was a lightning in a bottle moment that’s never likely to be captured again. As its own entity, After Laughter is the closest the listener has gotten to seeing the documented turmoil within Paramore, a brave approach in its own right and carries plenty of hints for what’s to come next time around. How that’ll all actually pan out is perhaps just as interesting in itself. ‘After Laughter’ by Paramore is out now on Fueled By Ramen.